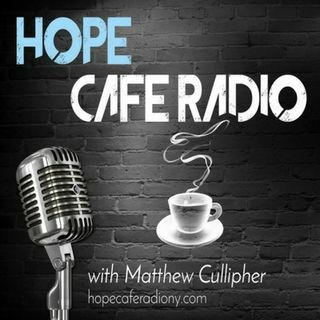 The inaugural episode of Hope Cafe Radio. Host Matthew Cullipher discusses the passing of Chris Cornell, 13 Reasons Why, the I Syndrome, the desire to be seen and heard, and the hope that each person deserves to have. The content is heavier than it will normally be, but the suicide of Soundgarden's lead singer hit home for our host, and he was lead to discuss this topic in detail. Unimaginable pain can lead to unimaginable consequences. This is a call to awareness, to compassion, to ... See More hope. Tune in to this inaugural episode to hear more!